This outfit is a perfect masterpiece with high class designing which could be worn both formally as well as on parties and special events. 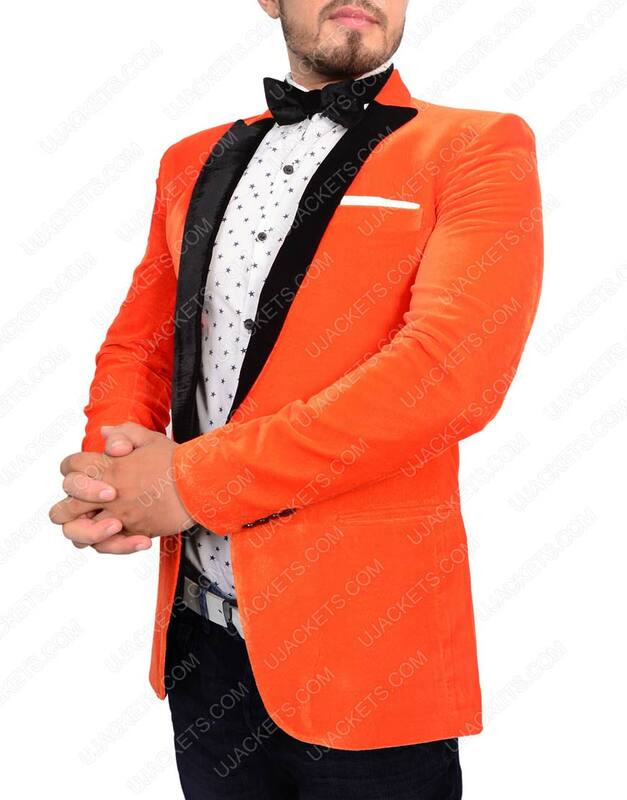 It is worn by Taron Egerton as the Kingsman Tuxedo in the upcoming action thriller movie, where he is portrayed as the detective agent in the lead role in film. 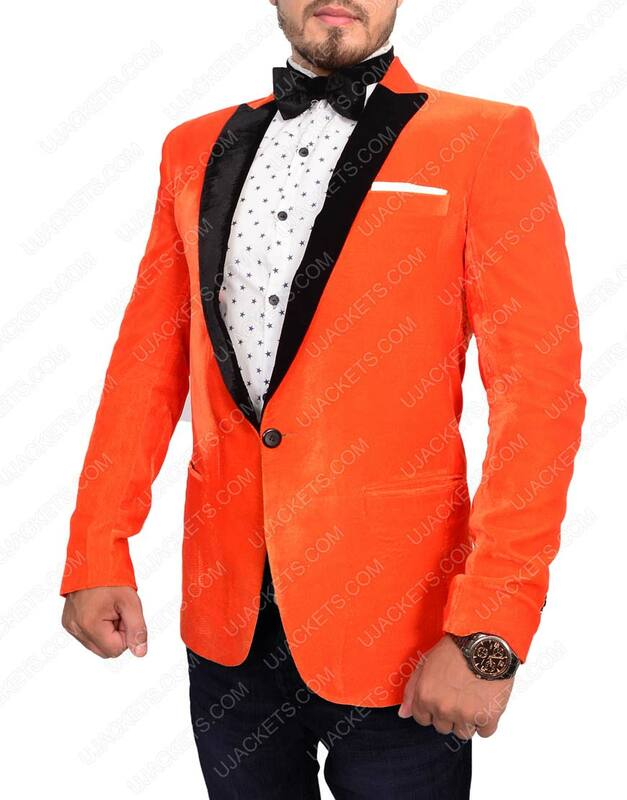 This attire could be surely referenced as a blend of modern creative styling with unique retro fashion. 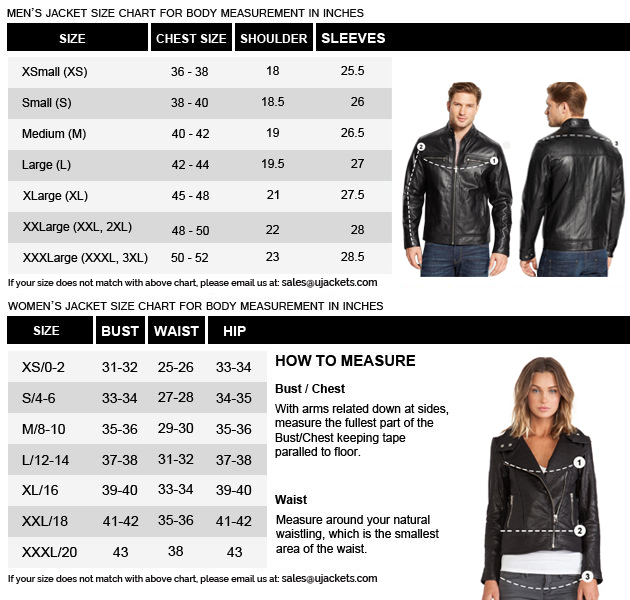 It is comprised from top quality Velvet Fabric material with internal viscose lining for extra smooth and soft feeling. 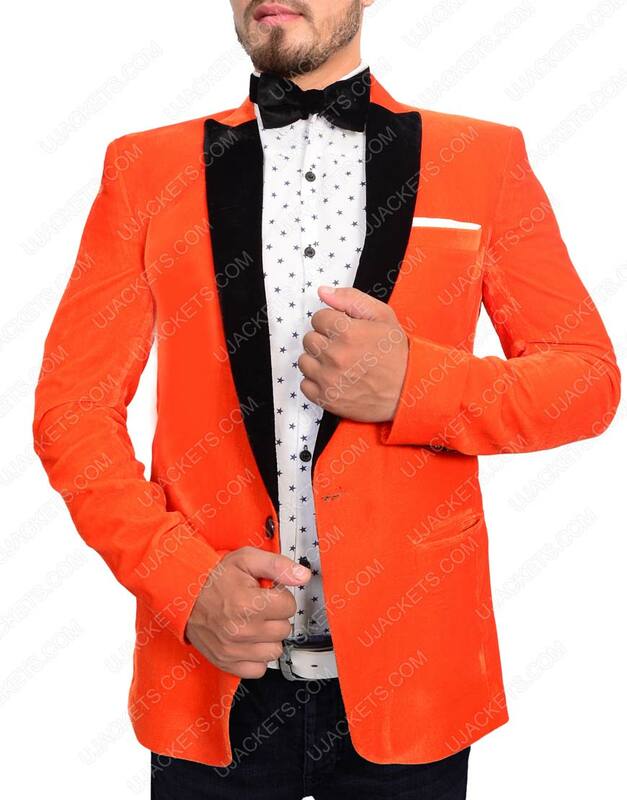 The attire has a uniquely crafted peak lower lapel collar which is enchanting the whole outlooks of it a very elegant way. 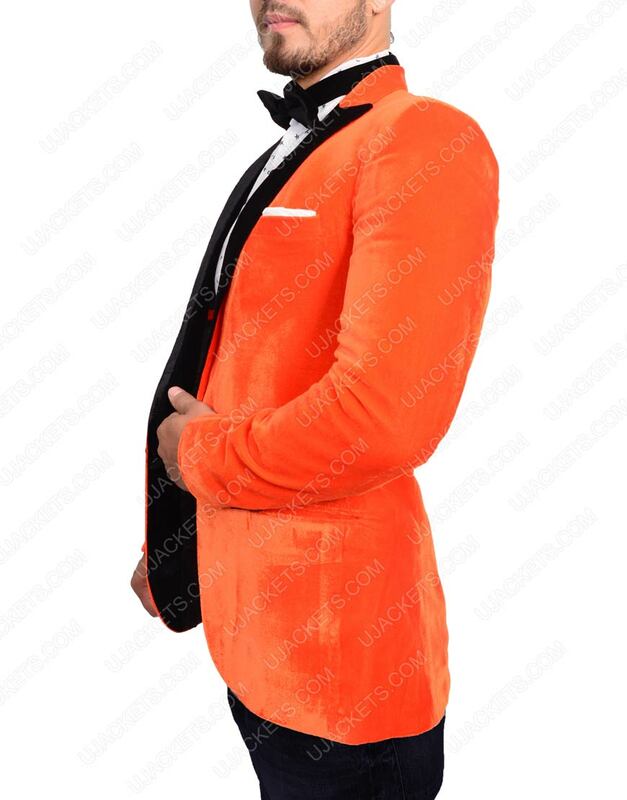 This Kingsman Orange Tuxedo Blazer has a very artistically fashioned single buttoned blazer confined on the front with two outside pockets also integrated. 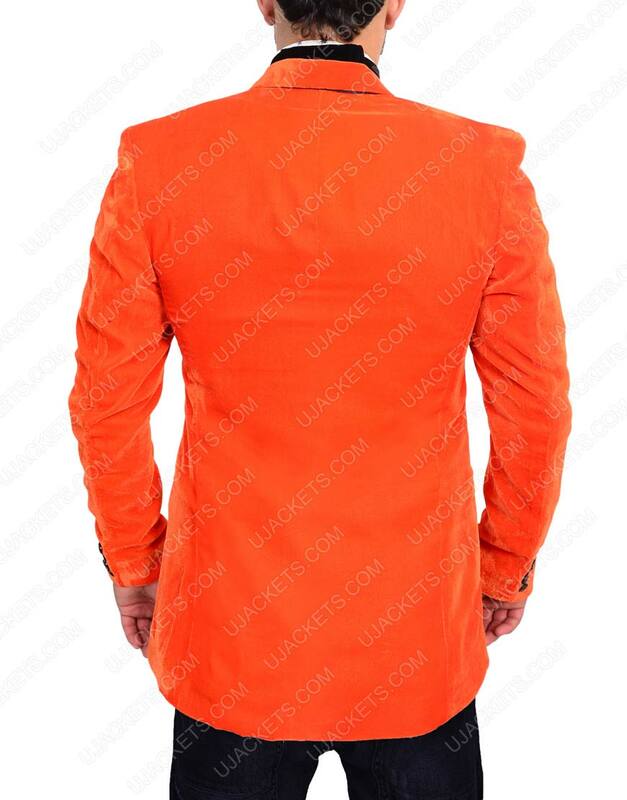 The long sleeves with open hem cuffs and striking orange color speaks volume for the class of this outwear.